I am on the edge of my seat for this event. The line up of Chefs and most importantly the cause makes this one of those not to miss events. 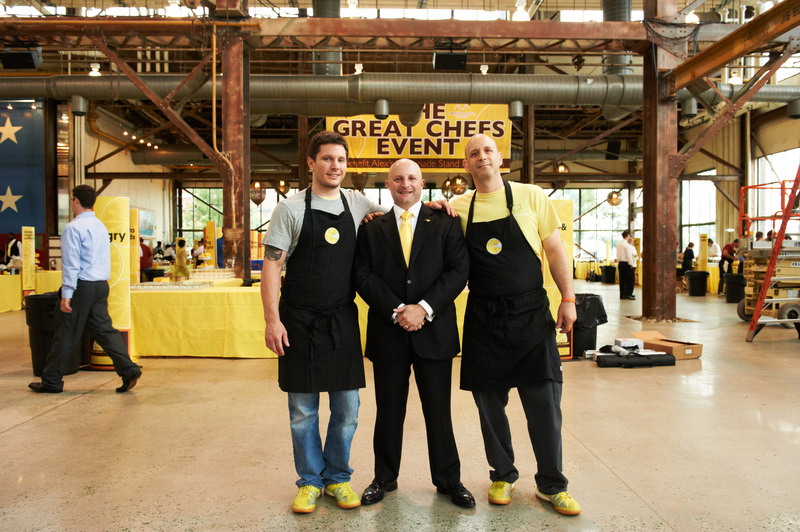 James Beard Award-Winning Chef Marc Vetri, restaurateur Jeff Benjamin and James Beard Winner Chef Jeff Michaud will host more than 40 of the world’s greatest chefs this June for the Eighth Annual Great Chefs Event to benefit Alex’s Lemonade Stand Foundation and the Vetri Foundation for Children. On Tuesday, June 11, more than 1,200 guests will gather at Urban Outfitters world headquarters on Philadelphia’s waterfront for the foodie charity event of the year. A host of more than 40 top-flight chefs from around the globe will join by donating their time, talent and food to create delectable samplings for guests prepared right in front of their eyes. Guests will enjoy music and mingling, as well as silent and live auction items, which include one-of-kind experiences like a gastro-tour of Piedmont, Italy for six with award-winning chef Marc Vetri. To purchase tickets visit www.VetriFoundation.org or for more information www.AlexsLemonade.org. 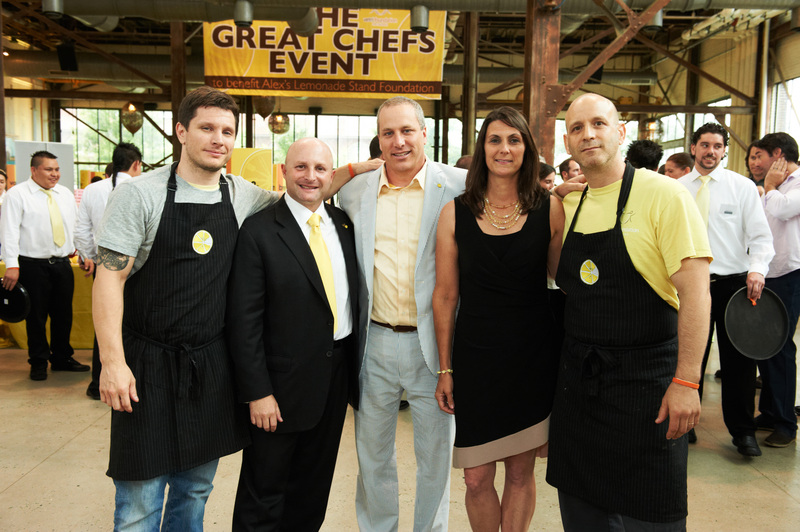 Jeff Michaud (Vetri Foundation for Children), Jeff Benjamin (Vetri Foundation for Children), Jay Scott (Alex’s Father, Alex’s Lemonade Stand for Children), Liz Scott (Alex’s Mother, Alex’s Lemonade Stand for Children) and Marc Vetri (Vetri Foundation for Children).